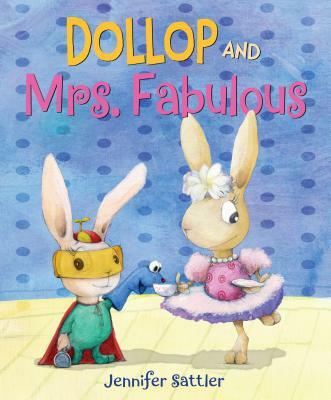 Make way for bunny Dollop and her sister, Lily (otherwise known as Mrs. Fabulous), in this rib-tickling sibling story by the popular creator of CHICK 'N' PUG. It's looking like just another boring day playing monster vs. monster when Dollop overhears her big sister, Lily, planning . . . a tea party? Lily is happy to have Dollop join her, as long as Dollop follows a few simple rules. There are no ninjas allowed and absolutely NO burping. But there is dressing up and sipping tea with your pinky finger in the air and making mindless small talk. Suddenly, what started out as a fun idea is nothing but a bunch of rules. Can these two unalike sisters find common ground? Warm, wacky, and endearingly illustrated, Jennifer Sattler's latest book extols the virtues of sisters and the imagination.